The lovely folks at Velovixen, the female focused cycling website, recently asked me to contribute to their newly relaunched blog. I thought I’d make my opening piece for them really count and write about something that matters to me personally, namely women and their place in the world of cycling and what we can do help encourage ladies to jump on their bicycles. 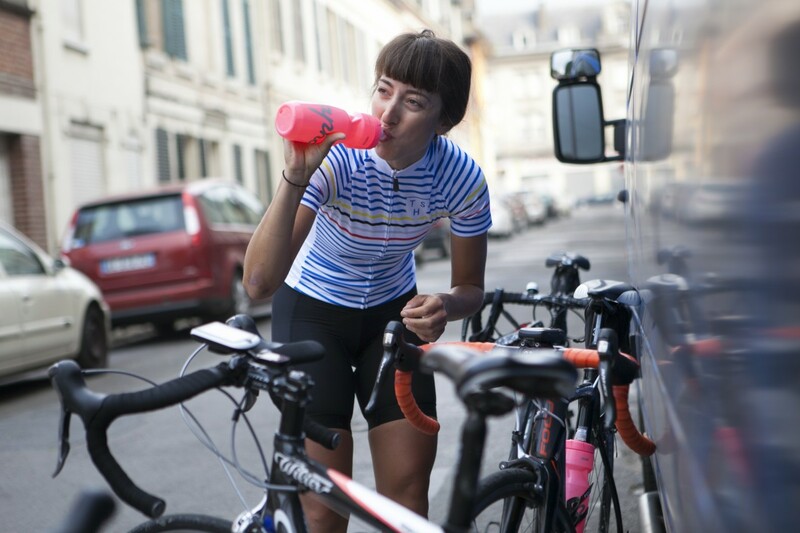 I’ve recently become involved in TakethestageCC, a women’s cycling initiative established to promote cycling for women through rides, ambassadors, events and even an app for your mobile phone, so I chatted to the lady running the show, Marit Huisman ahead of some new and exciting developments I know of. Head over to the Velovixen blog to read the feature. Whilst you’re there, check out the other blogger’s features and the comprehensive range of gear on offer. And be sure to head over to the TakethestageCC Facebook page to give them a ‘like’ so you hear about all the exciting things planned for the summer. Women’s participation in cycling is increasing, strong role models like yourself, Dani King, Laura Trott, Joanna Rowsell, Shaneze Reade, Manon Carpenter, Rachel Atherton to name few certainly help. Sadly, however, women’s cycling is in much the same boat as many sports are concerned on the equality front. At an elite level the majority of the TV coverage, exposure, sponsorship, prize money goes the way of the men. This maybe because the majority of the sports participants are men so the powers that be can say that this is driven by market forces, but this is hiding from real issue or question. Why are the majority of the sports participants mainly male? After all look at children, your children, your friends children, children in the park, boys and girls running, riding bikes, scooters, kicking and throwing balls. All fledgling sports people, all potential participants of whatever the sport may be later in life. I know from own experience, my wife, my sister, my mother, various female friends, female colleagues and a recent article by Victoria Pendleton about school PE lessons. Many, many women are failed at school and turned off sport forever by experiences at school so they seek out and take up other past times and hobbies. The governing bodies of sports, British Cycling, and other development bodies such as Sport England need to partner with the Department for Education and local authorities and get into schools. To capture and nurture the young female minds and talent and keep them sport. I agree in part to toby’s comment, but from what I witnessed in secondary school in particular (91 to 96) and considering the views of my female friends and family member regarding sports, it isn’t school which fails women in sports, but society. I cannot remember there not being equal opportunities or encouragement for both sexes to participate in sport at school. I remember in particular one of my PE teachers pleading with girls to to join his after school tennis club because he thought the crop of girls were better than the boys (which he did not care to hide), but they simply weren’t interested. The norm (induced by perceived gender roles and peer pressure which made me glad I was a boy) was for girls at a secondary school age to typically do ‘girly’ stuff, sports was not one of these things. And I doubt, generally speaking, that their parents did as much to support sporting activity as they did with their sons. The amount of can’t do PE notes among girls was ridiculous, most were probably fake, but if my mother is any example to go by, a lot were not. I never could get out of PE, but my sister probably didn’t even own a kit. Having read Victoria Pendleton’s comments regarding communal showers and PE kits, I must say wearing small white shorts and and plimsoles to do winter cross country runs did not seem ideal to me, nor did I relish the communal showers. These things are not based on gender, just inconsideration by schools and archaic PE practices. There have always been outstanding female athletes whose achievements can be encouraging to young girls and women (and men). But I personally think the perception of gender roles have changed very little in the last 20 years and sports is still considered a male pursuit, physical activity seems to only be promoted to women for fitness and not enjoyment. This is the major problem that needs to be addressed. I also think that professional sports undertaken by men has had such a massive head start in terms of fan base, organisation and more significantly finance, that the same sport undertaken by women professionally have a snowball’s chance in hell of reaching the same heights. Thankfully, cycling which is being promoted to both genders for fitness and as a mode of transport is being increasing undertaken by both men and women for enjoyment. Its just a bit of a shame that they are waiting till we are adults to encourage us to do it. Up Next. A Female Frame Builder Speaks!